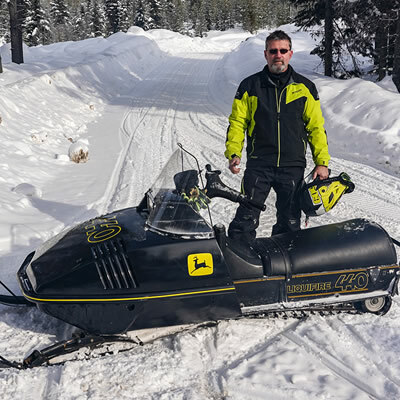 This week we head back to the vintage snowmobile display at the Saskatchewan Snowmobile Show, held back in November 2018. Our intrepid photographer, Jason, snapped a few pictures of a number of great-looking vintage machines and we thought we would highlight one of these. 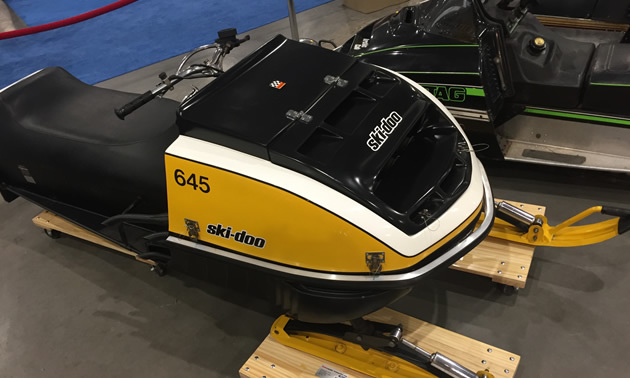 It’s owned by Kerry Shmyr of Melfort, Saskatchewan and is evidently one of only 301 ever manufactured by Ski Doo. 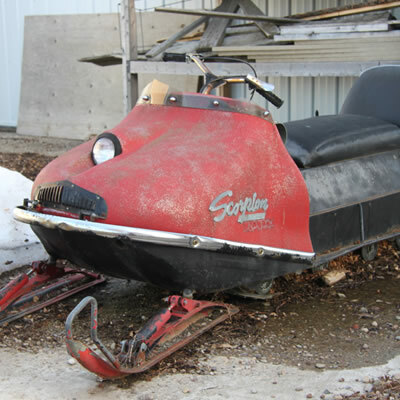 As you can see it’s a 1972 Ski Doo Blizzard 645 Race Sled — in showroom condition. “...(In) 1972 Bombardier pull all stops with new designs that were powered by all new motors. There was six motors used in the same brand new 15 inch chassis. The motors were mounted low and in front of the tunnel for the first time. 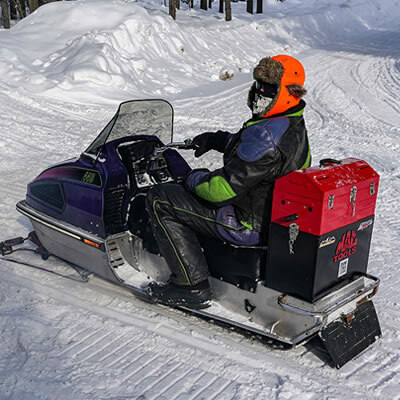 An aluminum chain case was on the right side of the sled. A jackshaft was connected to the chain case on the right and the aluminum-sleeved driven pulley on the left. A Kelsey-Hayes hydraulic brake was used on the sleds. All the Blizzards had a steel cleated track. The rear suspension was a single piece rail made of aluminum. Most of the components in the suspension were made of aluminum which counted for it to be about 35% lighter than last years skid. There was also chrome plated shocks on the front skis that were adjustable. The hoods were of a two piece design. The main part of the hood was the same on all the Blizzards. There was also a separate hinged cover that was in front of the motor that could be changed for two or three cylinder motors. The hood also came without a windshield. “In 1972 all of the Blizzards looked like this one. They were referred to as the "Coffin style" hood. They had a 293, 340, 440, 645 and 797. They were all triples. In 1973 they changed the style of the Blizzard and they had more of a wedge style hood. They also went to rotary valve twins in the smaller displacements.